I’m aware the privacy fencing on the patio needs replacing. Oh, I do. I know this because it keeps coming up on the honey-do list, even though the task never seems to make it to the top ten of what to fix next in our quaint little abode. Built in 1949, our house was the first in the area. And I say the place, with its time worn charm, is aging gracefully. I stand alone with this conviction. 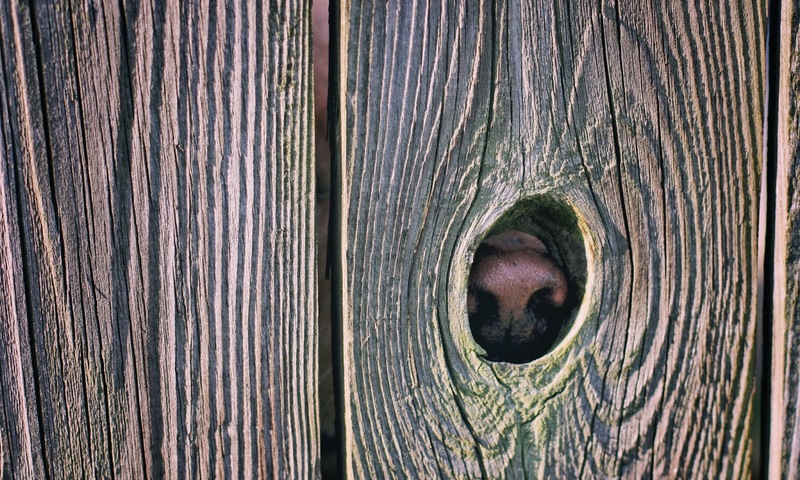 So instead of worrying about the awkward slant our tired fencing has decided as its position of comfort, I see a photo op in the manner of an open knothole. And pretty sure that I can get a dog nose to poke through there. Yup, another grayling peeking out, this one with a more ominous gaze. Micron’s boop button won’t even fit through the knothole. But because it’s the mighty Micron. We get this too. Good lord, check out the length of the shadow the thing has cast. Some fearsome alien weapon, that tongue. Yeah, I’m done now. Prolly should move the fence replacement up a notch or two on the list. *The ability to see faces and other stuff in random images is pareidolia. I couldn’t remember this word, nevermind spell it, without help from Google. 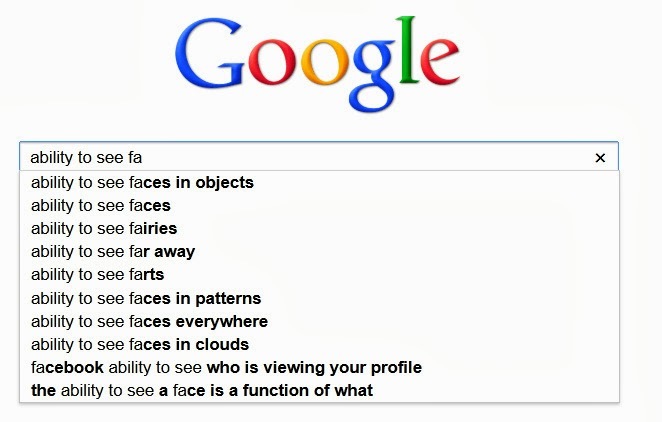 But check out the ever helpful Google and its sentient attempts to guess what I wanted to look up. Ability to see farts, people? I am not going to do an image search on this. I am not. 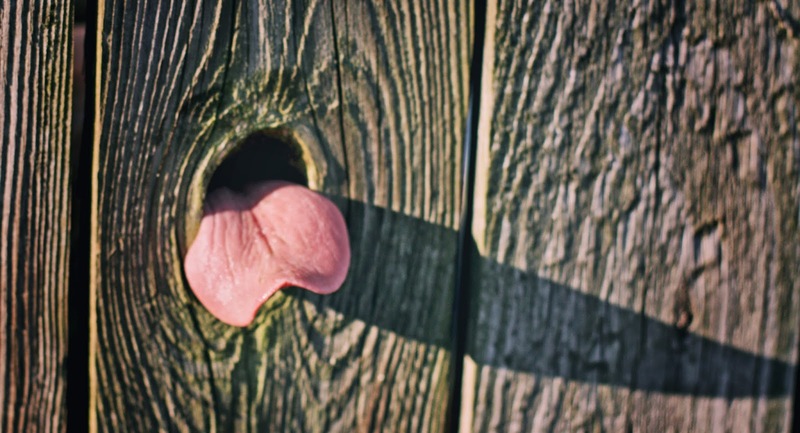 Very creative – love the tongue shot! I must admit that these appear to be very accomodating aliens. LOL! Love the last shot! SO funny– thanks for the laugh! Glad Micron didn't get a splinter in his tongue. Your post is too funny! LOL Too funny. Thanks for the giggles! What a fun photo-shoot! Thanks for sharing.